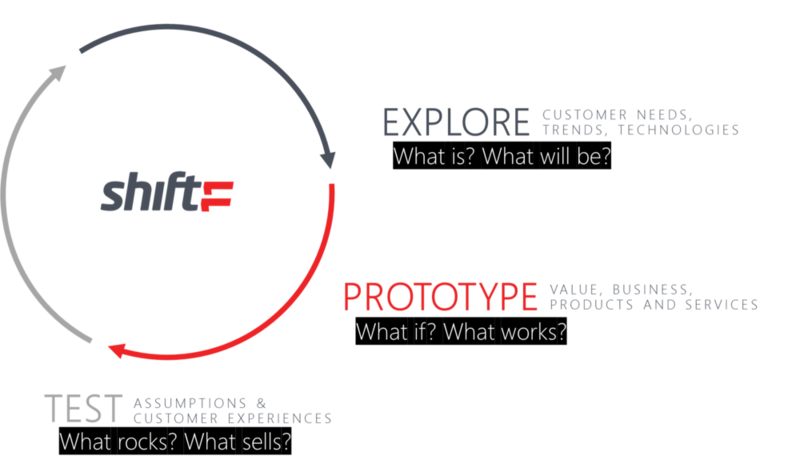 Services — SHIFT11 - explore, prototype, test, repeat. You use hundreds of products every day. How many really stick out? that leave real positive impressions. An iterative, open ended lean product & service development process. It is both a methodology and a movement that seeks to dramatically reduce risk in new product development and create more successful products through a scientific yet pragmatic rapid prototyping process: Explore, prototype, test, repeat. — From: "Subject To Change: Creating Great Products & Services for an Uncertain World"
Quickly understand customers & their problems, prototype solutions and test them in just 5- 10 days. Let us guide several teams at the same time through a structured process to validate ideas and form testable prototypes. Implementation-ready concepts after several sprints or iteration loops.